Lotte has approached vinyl producer Axiall, which is fending off a hostile $3 bln advance from rival Westlake. Although the Asian interloper didn’t disclose specifics, Westlake is already offering an eye-popping 140 pct premium. The winning sweetener could involve more cash. 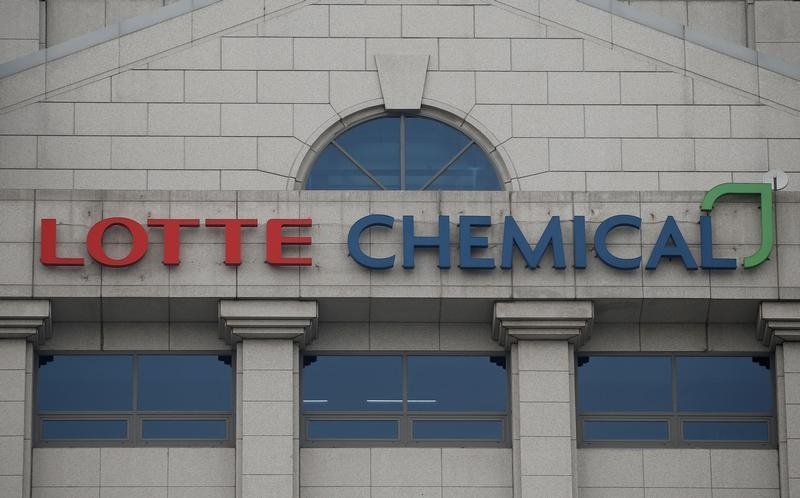 The logo of Lotte Chemical is seen at its building in Seoul, South Korea, June 7, 2016. Lotte Chemical, a unit of the Korean hotel-to-retail conglomerate Lotte Group, said in a regulatory filing on June 7 that it had made an initial offer to buy U.S. chemicals maker Axiall. Axiall’s shares rose nearly 10 percent in New York trading following the announcement. Lotte did not disclose the terms of the offer, which came as Axiall management is fighting an unsolicited cash-and-stock bid for the company from U.S. rival Westlake Chemical, worth about $3.1 billion, including debt. Westlake in February said it would seek to replace Axiall’s board after it rejected its initial $20 a share offer for the company. Axiall in April rejected a revised offer of $23.35 a share from Westlake that valued the company at a 140 percent premium to its undisturbed price. It said, however, that it remained open to a strategic transaction.